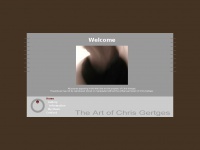 This Web Site shows the art of Chris Gertges included information about him and his work. Juana Hoppe is specified as the websites creator. (c) 2003 by Juana Hoppe is the owner of the copyright for this website. The main topic of the website is Design (Design). The web server used by Chrisgertges.de is located in Germany and run by Hosteurope GmbH. 37 other websites are located on this web server. Most of them are provided in the german language. The websites of Chrisgertges.de are served by a Apache server. The markup language of the website is XHTML 1.0 Transitional. Due to the robot information on the webpage, the following actions by webcrawlers are not allowed: following the links.